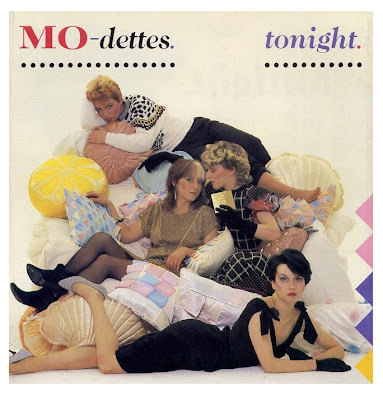 On this date in 1981, The Mo-dettes released their fourth single, "Tonight". It was backed by "Waltz In Blue Minor". The all-girl group released one album, The Story So Far, in 1980 but neither of these tracks made the album. The London post-punk band (not mod, which their name might imply) included two members not born in the U.K. Guitarist Kate Korus was born in the U.S. and lead vocalist Ramona Carlier was born in Switzerland. The all-girl band disbanded in 1982.